If you are lucky enough to own a pair of Christian Louboutin shoes you will know how excited you were the first time you put them on. The first time you wore them out. But what you didn’t know was how sad you would be when you took them off and realised that the red sole had started to wear off as well. We were. 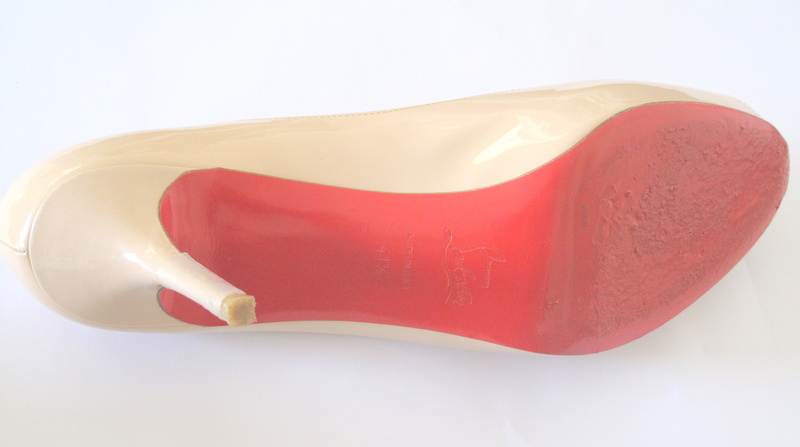 Where has the famous red Louboutin sole gone? So we started Save Your Sole to help people with the same problem and offer a fashion fix solution to this problem. Introducing our new Touch Up Shoe Sole Paint which is now available online in 9 colours, you can now easily fix your coloured shoe soles and restore your shoes to the way they were when you first wore them. The paint is easy to apply, touch dry in 10 minutes and a perfect colour match. We fixed the shoes below in five minutes! So if you have the same problem and need the same fashion fix then look no further. Available as a fast dry, shiny enamel paint in 50ml paint pot. The only solution for scuffed soles. Also in black, tiffany blue, dark blue, white, yellow, pink, silver and gold for all of your designer shoe soles for £18.95 plus p&p with worldwide delivery. 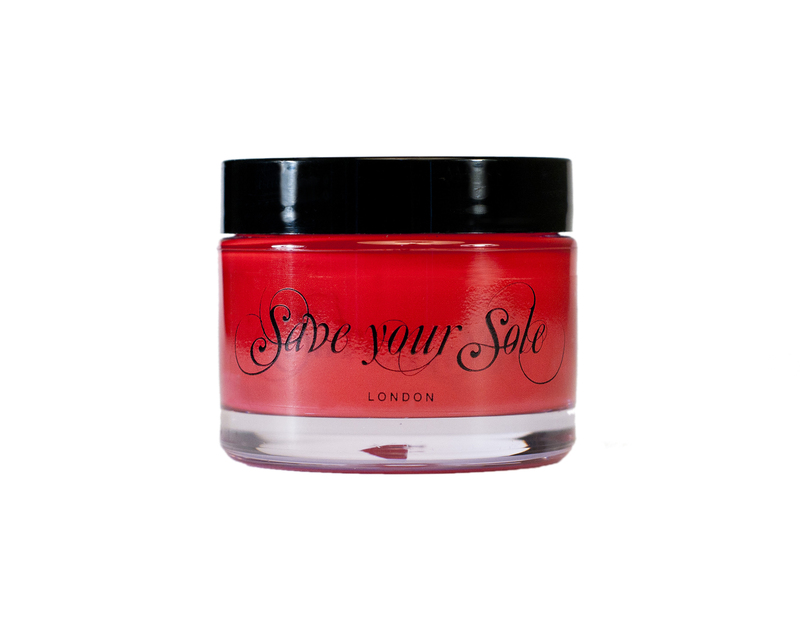 For all of your designer shoe sole care products.